Recently, Lillian Brooks, founder of learningdisabilities.info reached out to me with a request: if she could write an article that outlined the benefits of arts education, especially for students with learning challenges, and have this article featured on my website. Being an educator in the visual arts field, I have seen firsthand how this issue is critically important in today's educational systems. For more information and/or to see how you can offer your support, please visit Lillian's website: learningdisabilities.info or send her an email. A study published in the journal Science found that around 10% of the population is affected by a learning disability of some kind. That amounts to 2 or 3 children in each classroom. These children sometimes struggle with the standard classroom model, usually with reading and language, but the arts may offer a solution. Through the arts, children with learning disabilities are able to learn and convey ideas that they might otherwise struggle to do. Here are four ways you can help get your child involved with the arts. Through painting or drawing, children with learning disabilities can express things visually that they may struggle to convey verbally. As PBS Parents explains, this can act as a release valve, a way of getting out their day-to-day frustrations. It can also enable children to deepen their understanding of concepts that they struggle process with language. For example, they could make paintings to show what different words mean to them, which can help develop their language comprehension. A great way to get children started in drawing is to set aside a hobby room, where they are free to create and play without worrying about creating a mess. Some children are more practical, and prefer to learn by physically interacting with the world around them. Sculpture is perfect for this. Of course, you don’t give your child a block of marble and a chisel, and tell them to have at it. You can start out by teaching them clay modeling, paper mache, or crafts. As well as giving them a new way to express themselves, sculpture can help children learn, for example your child may become more familiar with the alphabet by making clay letters. Again, a hobby room is ideal, so your children can play freely, and you don’t have to worry about your carpet being damaged. What do Joss Stone, Ozzy Osbourne and The Police drummer Stewart Copeland have in common? They are all successful musicians with dyslexia. Music can be a great way into the arts for children who aren’t visually-oriented, and there is some evidence that musical training can improve reading and other cognitive skills. However, learning a musical instrument can be challenging, and requires a degree of initial motivation. To make it easier, think about what instrument would be best for your child -- base this on the music they like, and the amount of motor control that each instrument requires. If they’re interested in giving it a go, start with a trial run -- take them to a few classes and see how it works out. If your child is high-energy and has trouble sitting still, dance might be a suitable art for them to get involved in. Dance enables your child to burn off excess energy, while at the same time develop their creative abilities and coordination. Sometimes the problems children with learning difficulties have are compounded by stress and frustration. The physical nature of dance, and the social connections that dance classes encourage, can be an effective stress-reducer. Another option is taking dance therapy classes, in which children are encouraged to demonstrate their emotions and spontaneity. This is a great counter to technical skill, which might be preferable to some children, as opposed to the structured nature of a skill-based class. The arts are more than just a way to keep children busy for a while -- they can have real and long-lasting benefits. 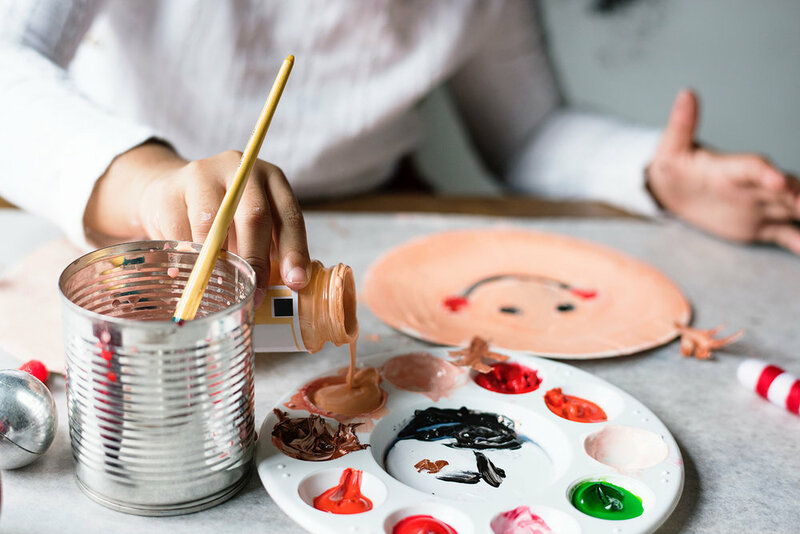 Art can help children communicate, build their confidence, and help them learn concepts that they struggle to grasp through normal classroom methods. Now it’s time to experiment -- ask your child what they might enjoy trying, and give it a trial run. At the very least, you’ll give them a new experience, and you might open up a world of benefits for them.